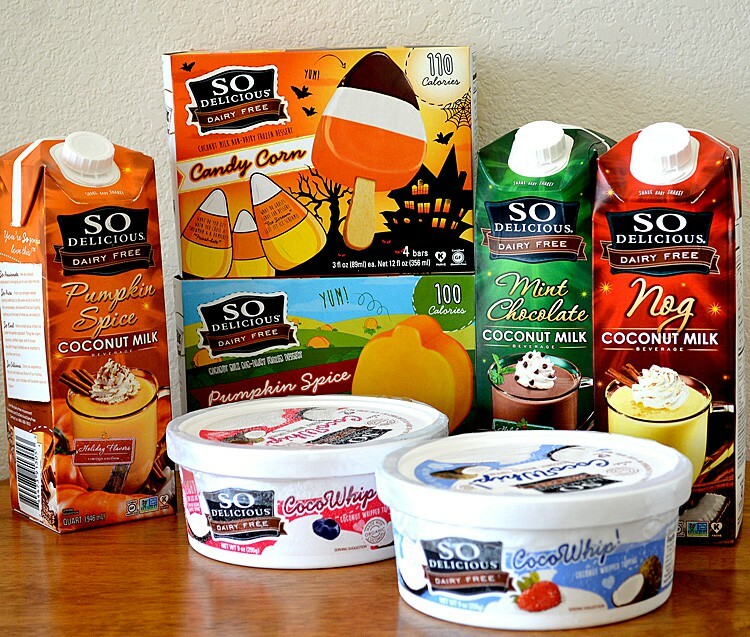 REVIEW: New So Delicious Dairy Free Products! So Delicious Dairy Free does it again and their fall line up, with a few new products, doesn’t disappoint! Recently, I was sent some samples for the purposes of review. 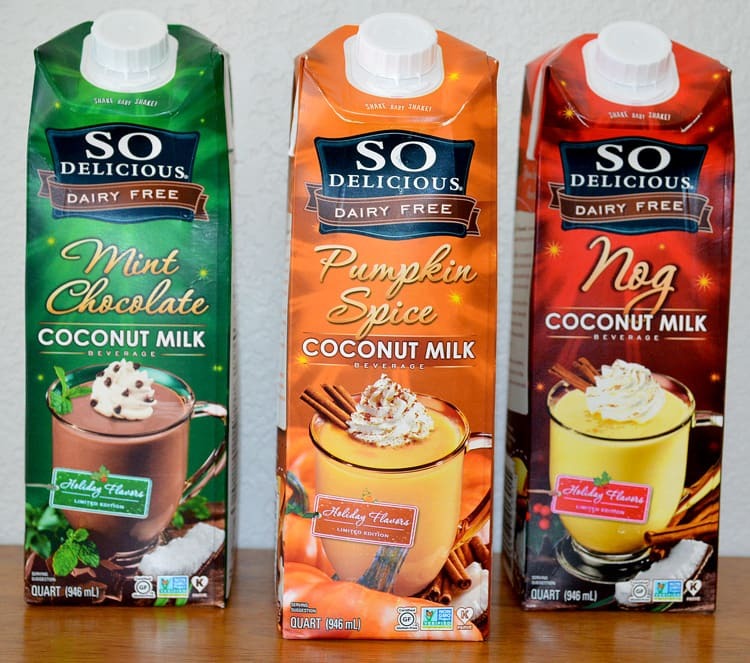 Some were old favorites…the So Delicious Dairy Free Coconut Milk Holiday Beverages return in three well-loved flavors. Other new items make their first appearance this year. The So Delicious Dairy Free Coconut Milk Frozen Dessert Bars. 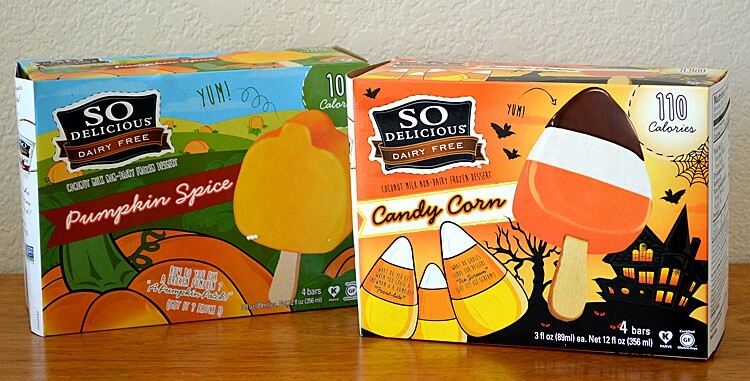 These fun holiday novelty bars are available in candy corn and pumpkin spice. 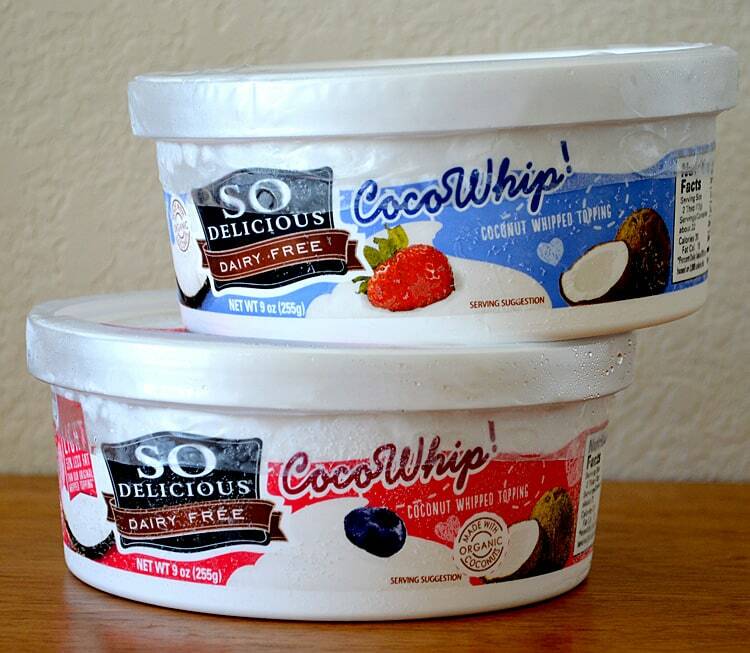 Yet another new arrival is the So Delicious Dairy Free CocoWhip Coconut Milk Whipped Dessert Topping. This might quite possibly be the one I am most excited about! So let’s get to know these individuals products a bit, shall we? I’m really excited about these next two products. These So Delicious Dairy Free CocoWhip Coconut Milk Dessert Toppings just made vegan whipped cream soooooo much easier! You keep these in the freezer until ready to use. Defrost in the fridge, use just what you need and pop back into the freezer for later use. I mean, c’mon! No more whipping that chilled can of coconut milk to make your own.